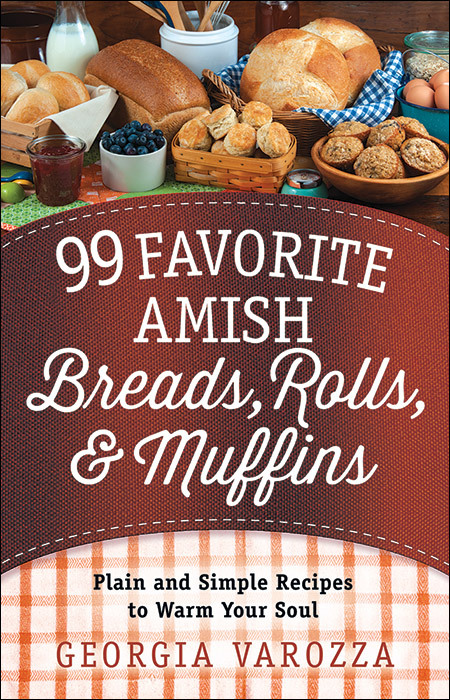 Serve warmth and comfort straight from the oven when you use any of these 99 amazing Amish recipes to bake something special for your loved ones. 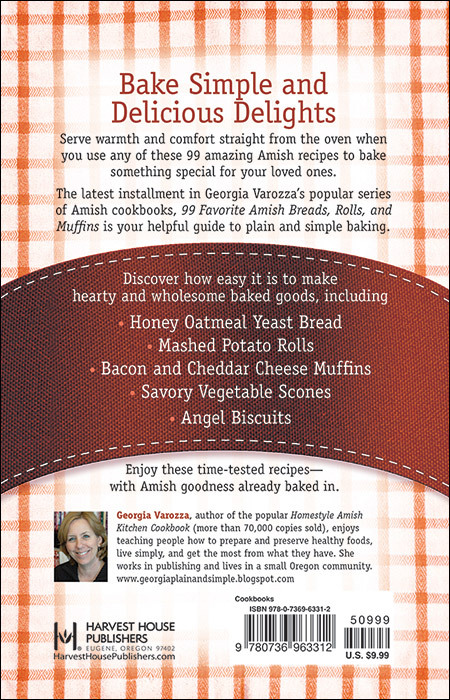 The latest installment in Georgia Varozza’s popular series of Amish cookbooks, 99 Favorite Amish Recipes for Breads, Rolls, and Muffins is your helpful guide to plain and simple baking. Enjoy these time-tested recipes—with Amish goodness already baked in.